It appeared that the car crashed into a barrier and a tree in Krugersdorp. 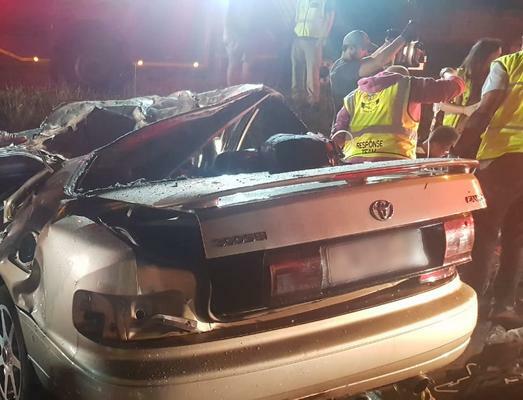 Three people were killed and two others were seriously injured when a car crashed into a tree along Voortrekker Road in Krugersdorp, west of Johannesburg on Friday night, paramedics said. Shortly after 9pm, paramedics from ER24, as well as fire and rescue services, arrived on the scene where they found the severely mangled wreck, ER24 spokesman Werner Vermaak said on Saturday. “Upon assessment, they found that three people sadly succumbed to their injuries. They were declared dead on the scene. Two people, the driver and a passenger, were found with serious injuries. The exact circumstances surrounding the accident were not yet known. It appeared that the car crashed into a barrier and a tree. Local authorities attended the scene and would conduct an investigation, Vermaak said.